Stump grinding is a common and easy method of garden tree stump removal, whether it is the root removal of a single tree stump or the clearance of a large number of garden trees. 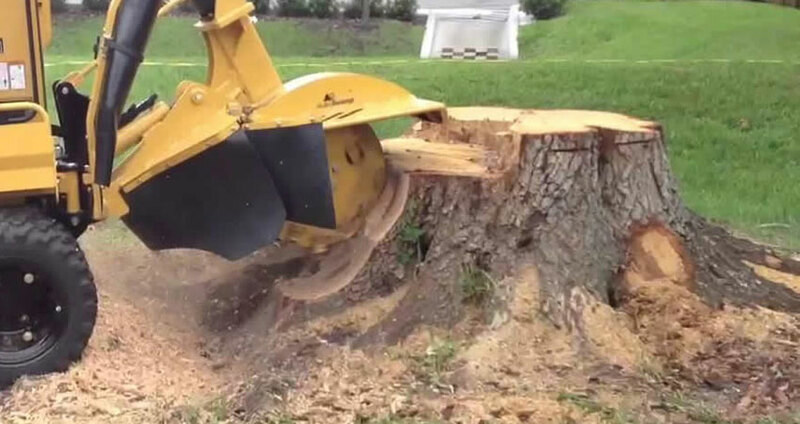 We are stump grinding experts with the specialist machinery required to efficiently carry out tree stump grinding and tree root removal in domestic gardens with minimal impact and maximum effectiveness. I HAVE AN UNWANTED TREE STUMP AND NEED IT REMOVED. HOW DO YOU DO IT? 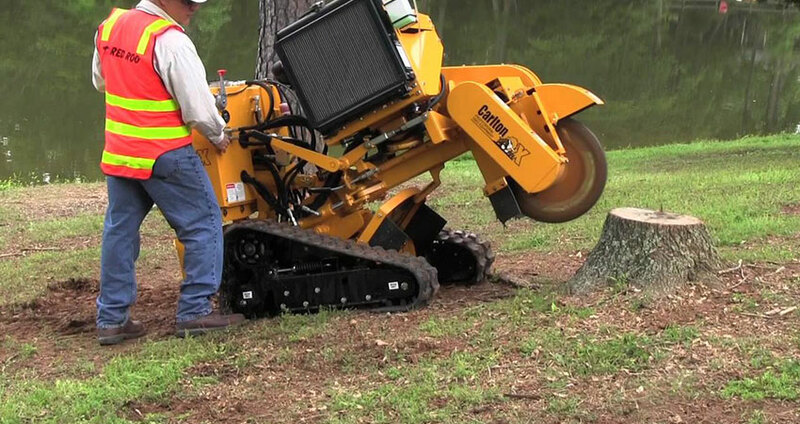 We have a range of stump grinders used for removing those troublesome tree stumps. Our machines range from small pedestrian grinders right the way through to larger tracked diesel-powered machines. HOW DEEP CAN YOU REMOVE A TREE STUMP TO? Our standard specified depth for stump removal is approximately 30cm below ground level and does not include lateral root unless specified by the customer beforehand. ONCE THE STUMP IS OUT HOW IS THE SITE LEFT? Once a stump has been removed the hole is backfilled level with the ground using some of the grindings. Any excess grinding will be removed from the site.